After writing earlier about how you’re not forced to use all the components of Progressive Web Apps together, here’s the counterpoint: if you do follow the PWA recipe, there’s a bunch of added benefits you’ll get from browsers and search engines. HTTPS, so it’s served securely. A service worker, so your site can still be served from a cache while offline. 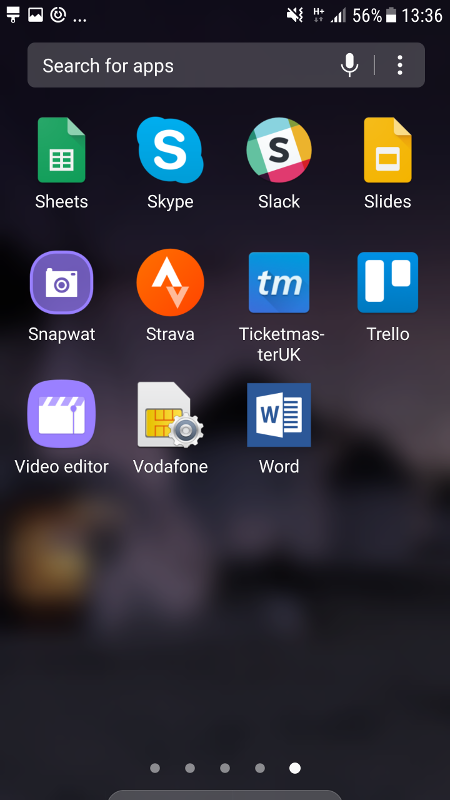 A Web App Manifest with a minimal set of properties and appropriate icons, so your site can be launched like a native app from the home screen. It’s a PWA (criteria above). That the user has found it engaging. There’s no standard definition for the second point, but roughly speaking it will be when the user makes a return visit within a certain period of time. Samsung Internet v5.4 introduced a special ‘+’ icon which dynamically displays in the URL bar (replacing the usual bookmark star icon) when you’re viewing a PWA. 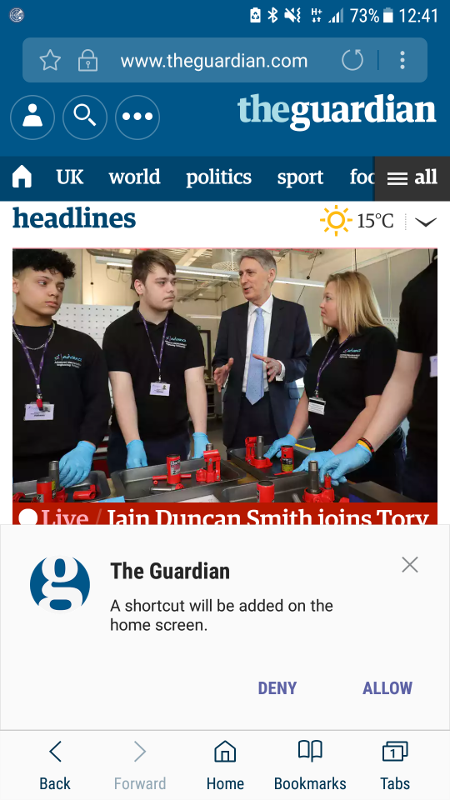 Tapping on it provides the ability to quickly add it to your home screen (as well as your bookmarks). This feature is also known as “ambient badging” and Opera has something very similar in their Labs build. As well as the base PWA requirements above, the ‘+’ icon requires that your web app will be displayed as a standalone app, without the URL bar. This means your Web App Manifest ‘display’ property will need to be set to ‘standalone’ or ‘fullscreen’ (more info here). Unlike the banner though, this one doesn’t have a user engagement check — it will show up from the first visit onwards. 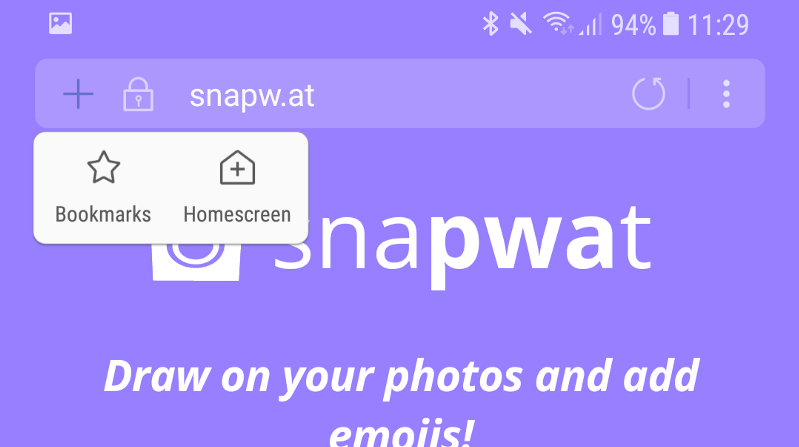 Note: If your website isn’t a PWA, in Android O, your home screen icon is set to be displayed as a lowly Chrome bookmark! Apparently this is the case even if you’ve defined your own icon via the Web App Manifest. So if you want your own unsullied icon, it looks like a PWA is the way to go! 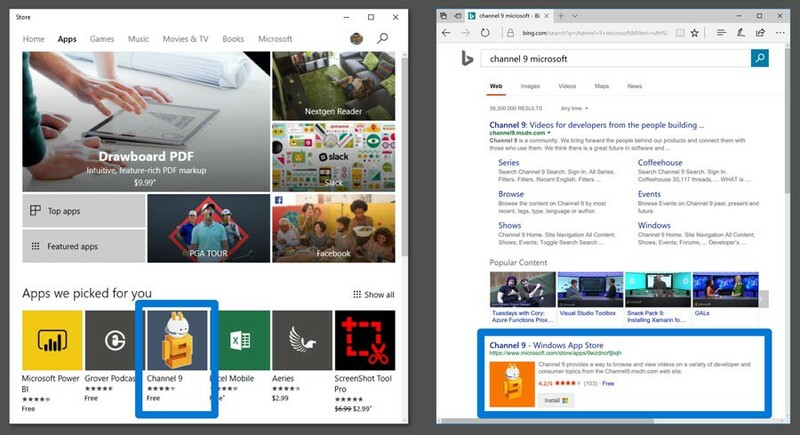 As long as your PWA is indexable on the Web (if you haven’t decided to block their bot with robots.txt) and it passes Microsoft’s quality and popularity checks, it will be “passively ingested” into a Windows app container (similar to Microsoft’s ‘Hosted Apps’). This is starting to happen already, behind a flag in the Windows Insider version. So there you go: build one PWA, get a bunch of extra appy goodness for free. (If I’ve missed anything, please let me know in the comments!) Not bad for “just a handful of new features for the web”, hey?